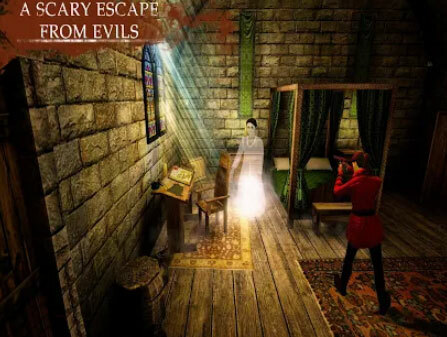 Scary Castle Horror Escape 3D is a unique horror adventure game from Trigon Games. If you are not scared, then come and prove yourself by dealing with all these terrible ghosts and scary monsters. Some paranormal activities are happening in an scary castle at a haunted town. Load your revolver in your hand and survive the paranormal situation around you. You have gotten into and old castle for finding help but you got trapped into a wrong place. Examine your fears and see if you have the courage to survive. The castle is haunted and occupied with fearful creatures. You have to solve scary game puzzles in order to get yourself out of there. Everything happening here is inexplicable. Your nerves must be hard as steel to survive this. Open world style interactive castle, you have many rooms and mysteries to solve. If you get stuck in the game, check out the video walkthrough and gameplay for the game. This entry was posted in Android Games, iOS Games, Mobile Games, Walkthrough and tagged Scary Castle Horror Escape 3D Cheats, Scary Castle Horror Escape 3D Game, Scary Castle Horror Escape 3D Gameplay, Scary Castle Horror Escape 3D Guide, Scary Castle Horror Escape 3D Hints, Scary Castle Horror Escape 3D Review, Scary Castle Horror Escape 3D Solutions, Scary Castle Horror Escape 3D Strategy, Scary Castle Horror Escape 3D Tips, Scary Castle Horror Escape 3D Walkthrough by Marvin. Bookmark the permalink.